The Mono soap dispenser by Södahl is part of the eponymous collection, which looks especially modern with a matte, monochromatic outside. 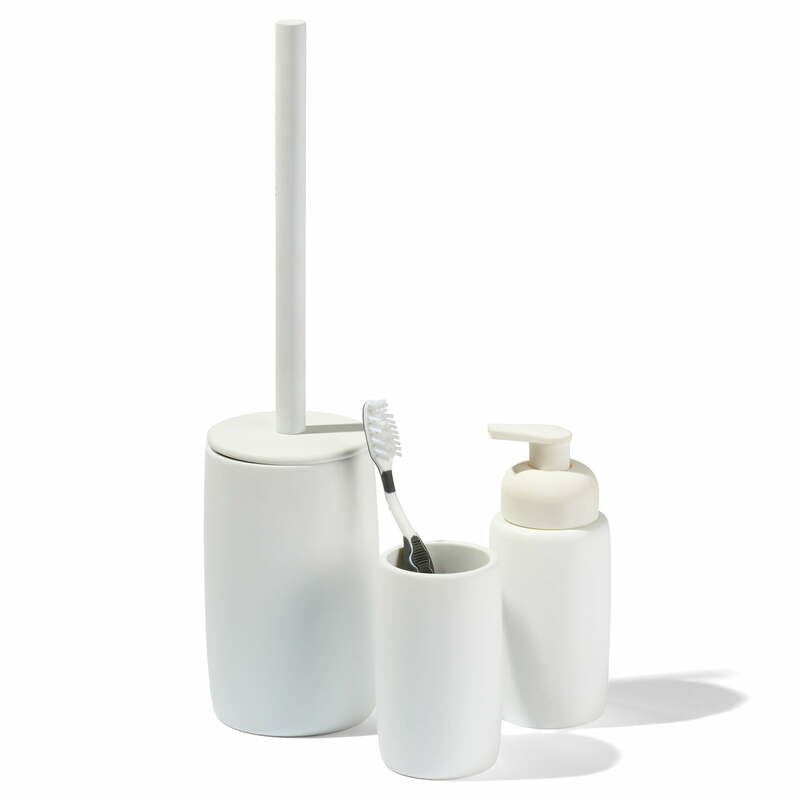 Coming in different colours the soap bottle can be combined with matching bathroom tumblers, toilet brush and bathroom bin. With a volume of 270 ml the soap dispenser can be filled with liquid soap in different scents again and again. There are more colours of the Mono collection available on request. Great product and excellent quality! We use it with two more products of Sodahl in a WC with carrara marble and black basin. The combination gives a strict but classy result! 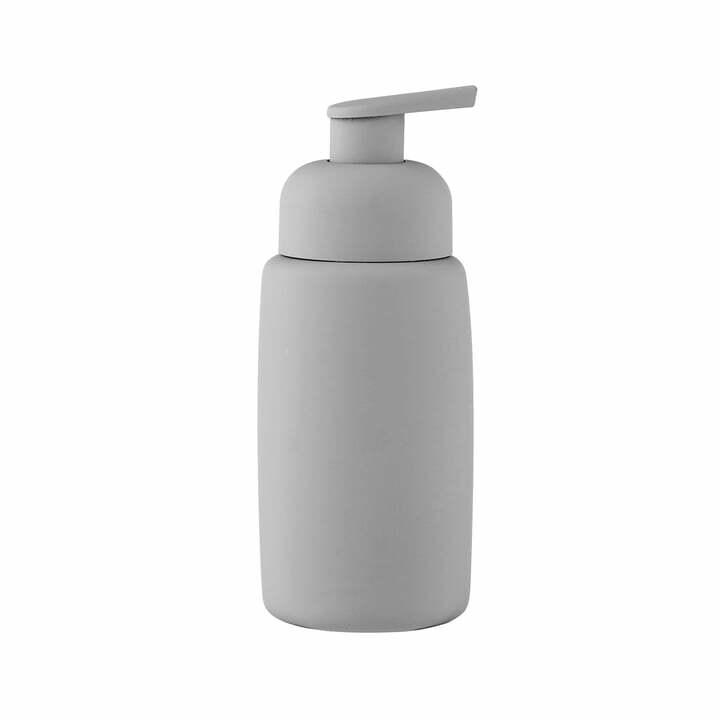 Individual image of the Mono soap dispenser by Södahl in the colour grey. The soap dispenser is made from porcelain and coated with a matt rubber coating. 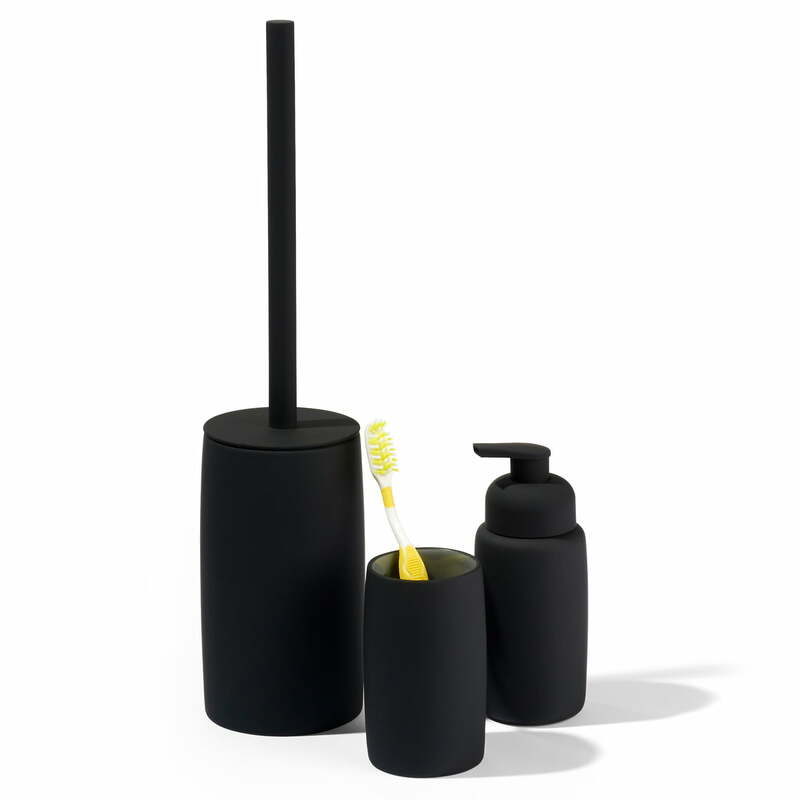 The Mono collection by Södahl includes a soap dispenser, the tumbler and the toilet brush. It is a simple and discreet series of bathroom accessories. The bathroom accessories’ design from the Mono collection is timeless and classy and gives an elegant look to any bathroom. Designed by the design brand Södahl. The Comfort collection by Södahl and the Mono collection by Södahl complement each other in their plain appearance and with the subtle, timeless colours perfectly.